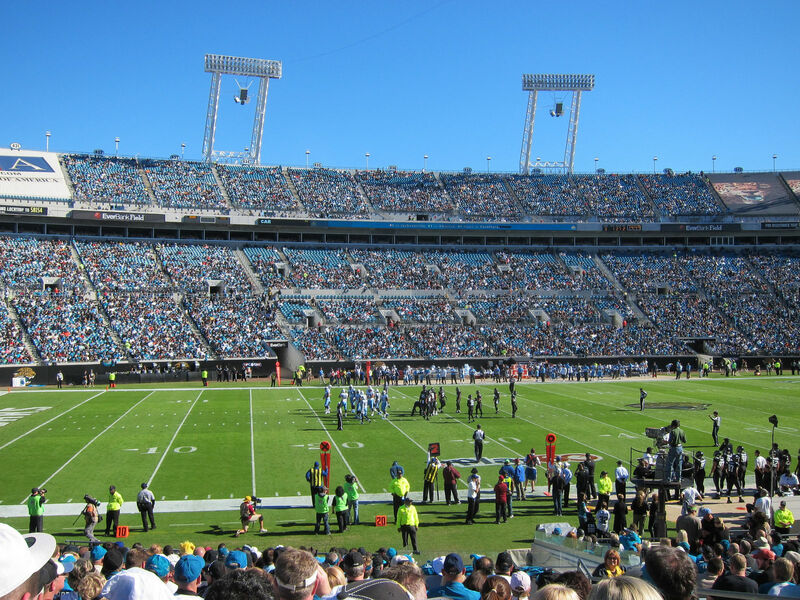 American football was played here already in 1920s and first stadium, the Fairfield, was opened in 1927. 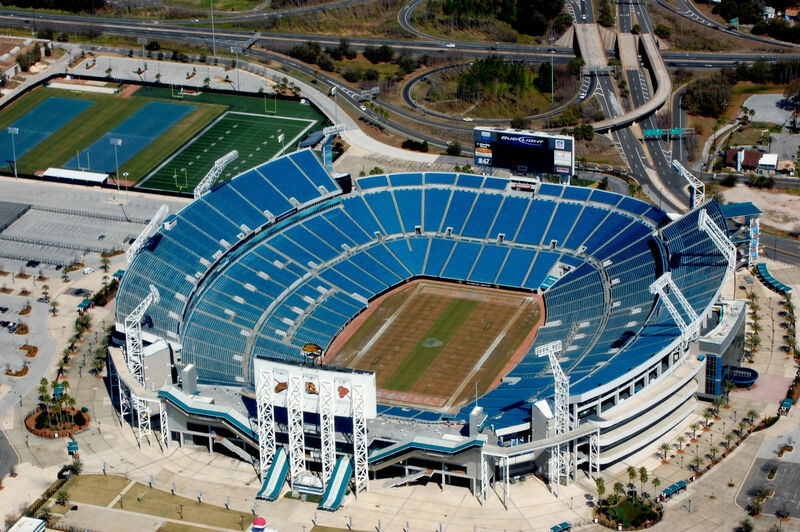 By 1948 the Gator Bowl Stadium replaced it, eventually growing to over 80,000 capacity in 1980s. 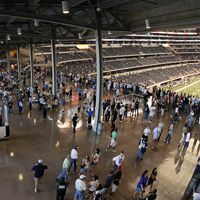 However, as years went by, it proved too outdated and only a small portion of it remains today incorporated into the new stadium built in 1995 (pedestrian ramps and some sections of the western upper deck). 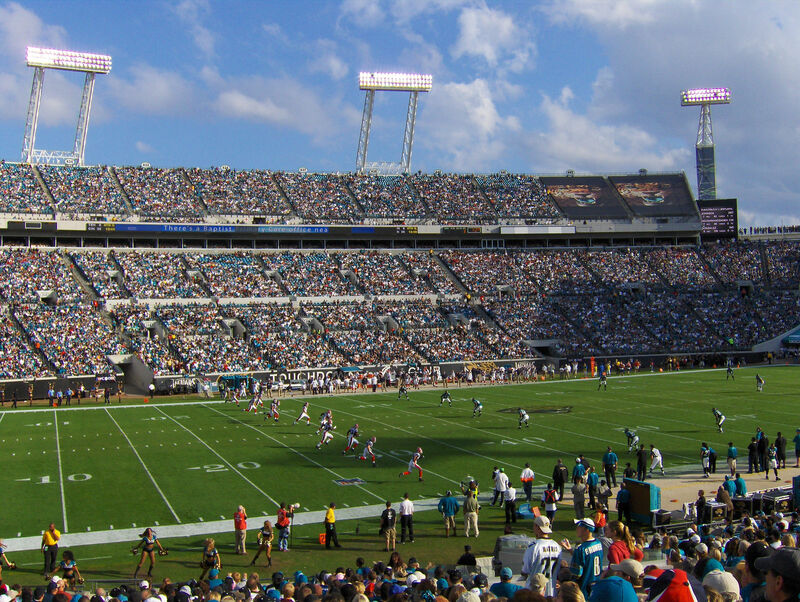 New stands were build from scratch within just 20 months, in 1994-1995. 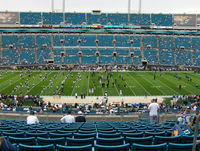 The stadium designed by HOK Sport (later Populous) could initially hold 73,000 people, however the number began to change over time. 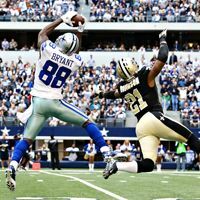 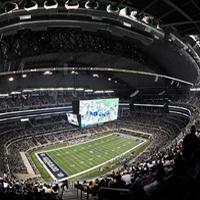 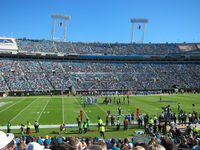 Currently NFL games are played in front of up to 67,246 people, while college football can be watched by up to 84,000. 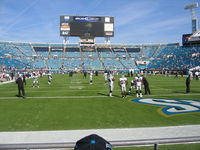 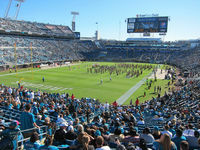 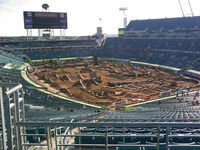 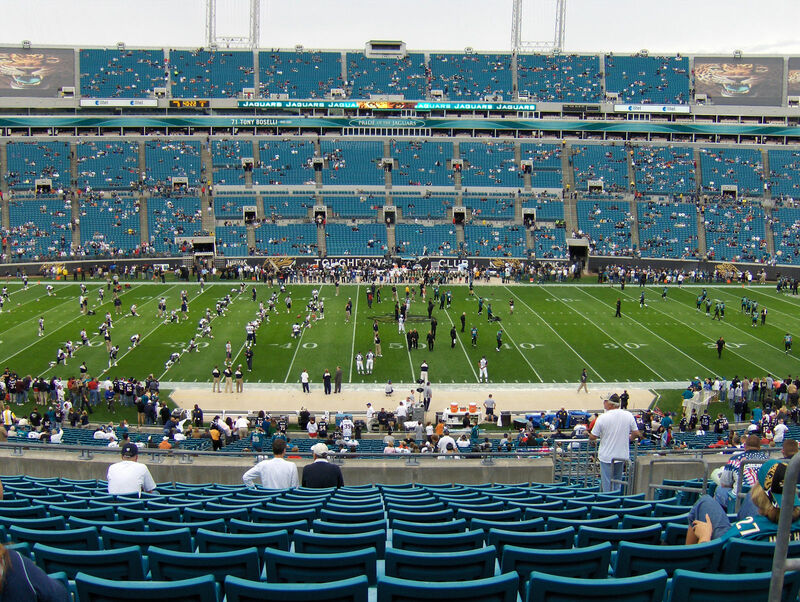 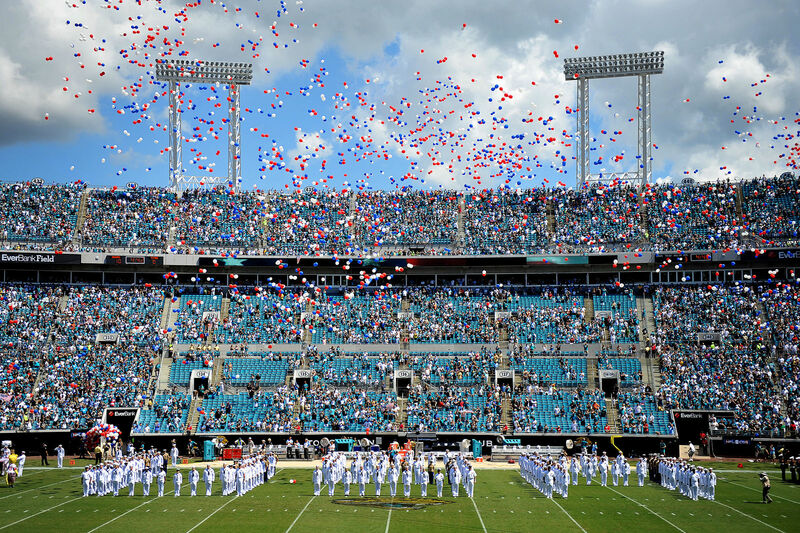 Anchor tenant for the stadium are the Jacksonville Jaguars, however university football has also been held regularly since the very opening in 1995. 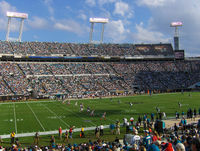 Major event is the 2005 Super Bowl, while the football team of USA (soccer) also staged their games here, due to the pitch being wide enough, unlike at some American football stadiums. 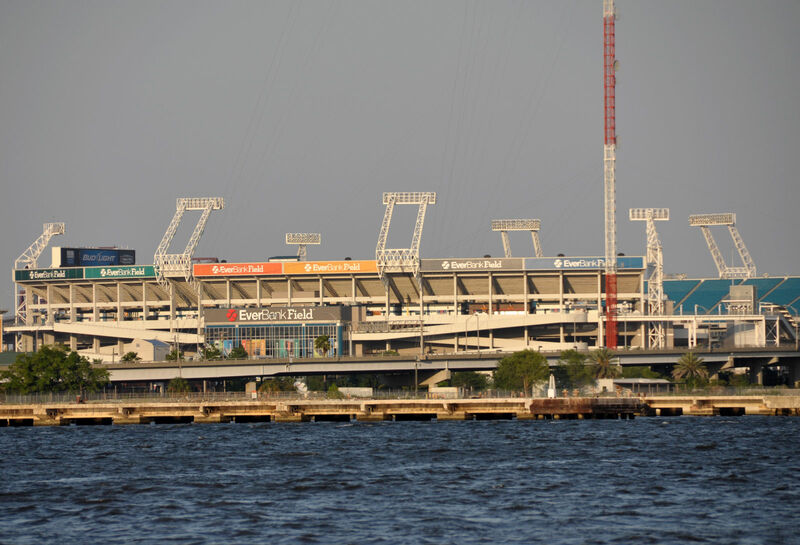 With general name being the Jacksonville Municipal Stadium, the ground has been subject to naming rights deals. 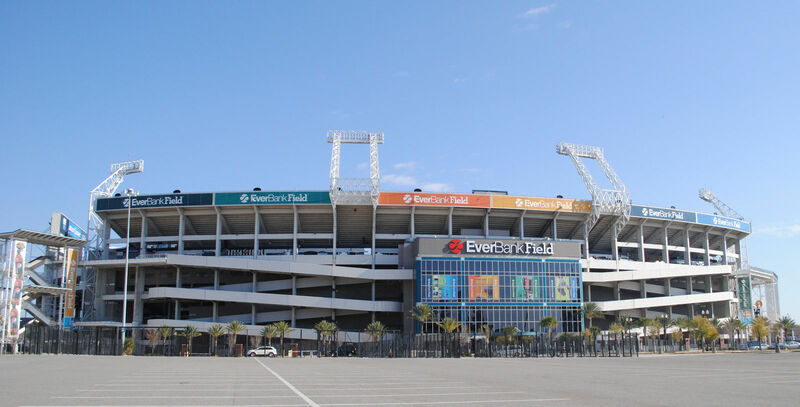 First with Alltel (Alltel Stadium, 1997-2006) and later with EverBank (EverBank Field, 2010-2017). 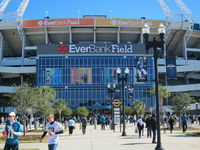 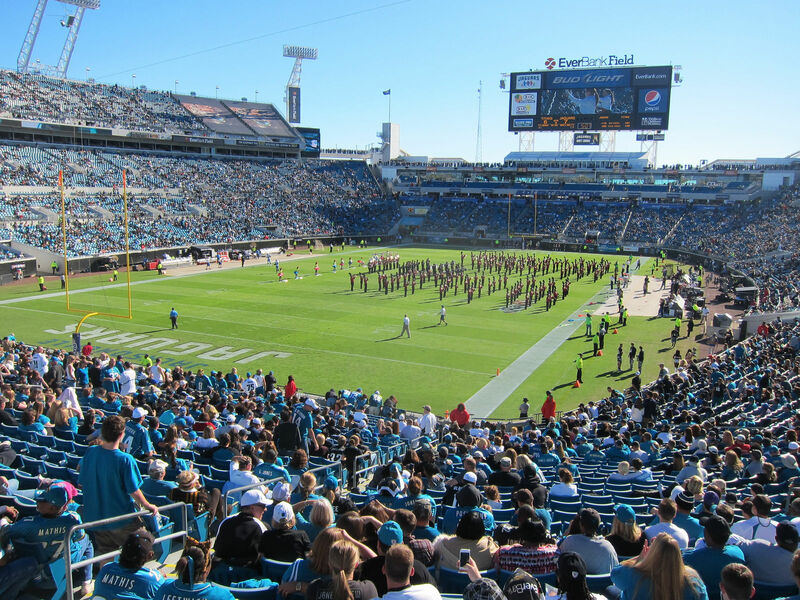 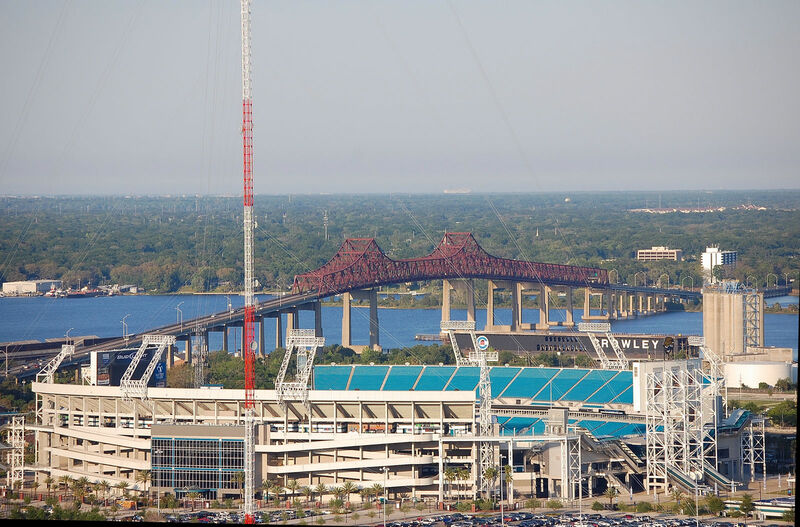 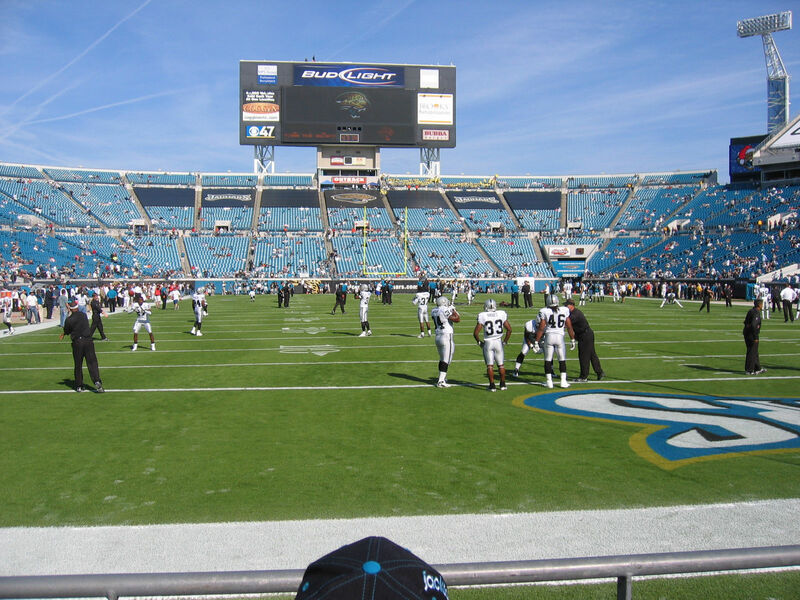 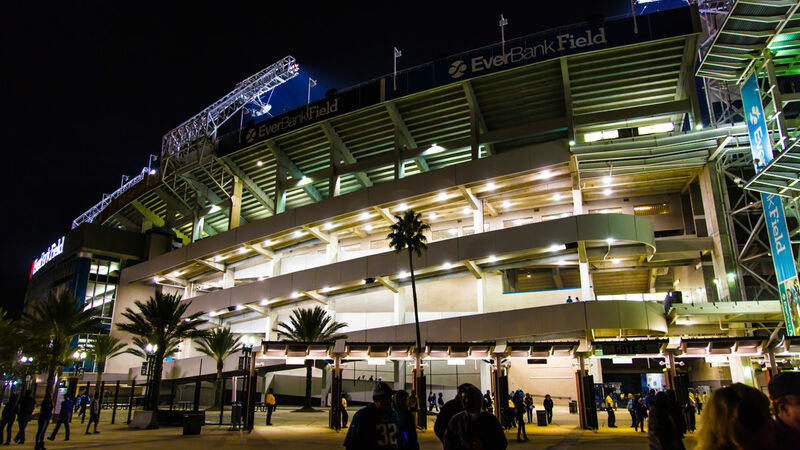 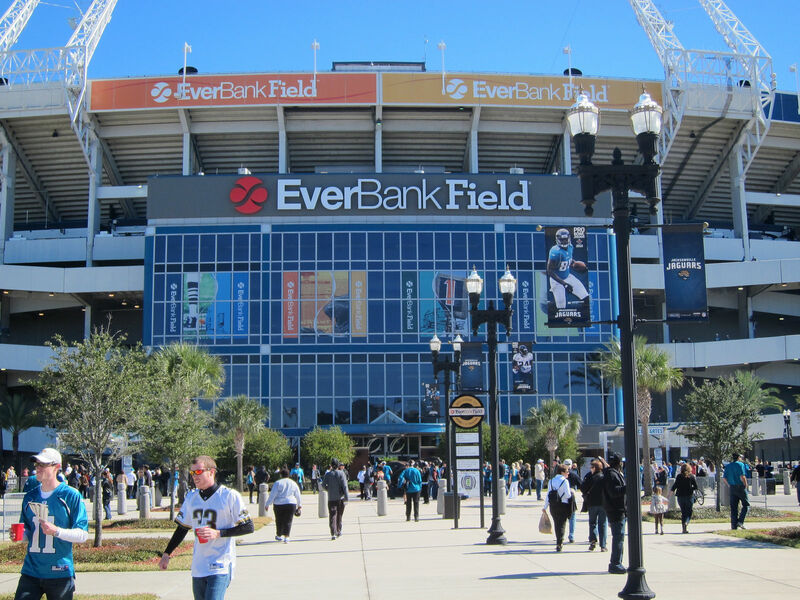 Further change came in 2018, when EverBank became TIAA Bank, causing the stadium name to change as well. 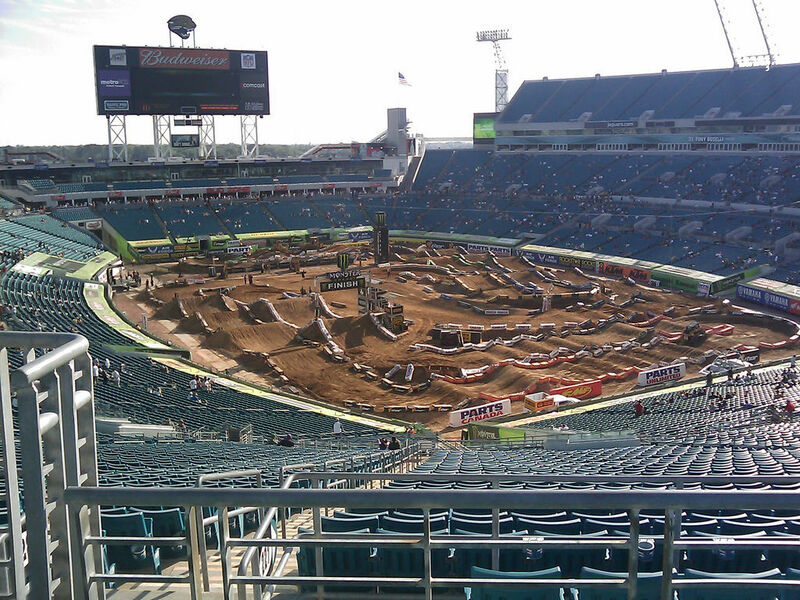 25.06.2013 USA: First stadium deck with swimming pools? 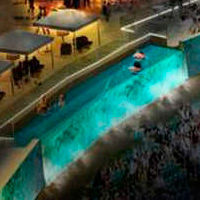 Now, we do mean swimming pools, but still find it hard to legitimize. 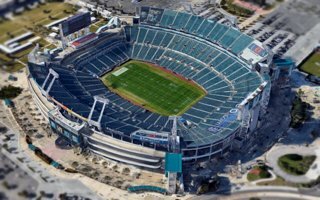 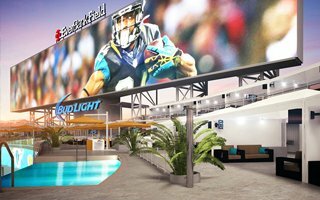 Jacksonville Jaguars attempt to give their fans “world-class entertainment and viewing area” by this unusual addition to new corporate decks.